Clear-Cure DH horizontal concrete curing compound is Nox-Crete's new clear, water-based, dissipating hydrocarbon resin-type formula. Clear-Cure DH offers high performance without waxes, paraffins, gums or oils. When applied to the surface of freshly place concrete, Clear-Cure DH rapidly forms a moisture vapor resistant membrane. 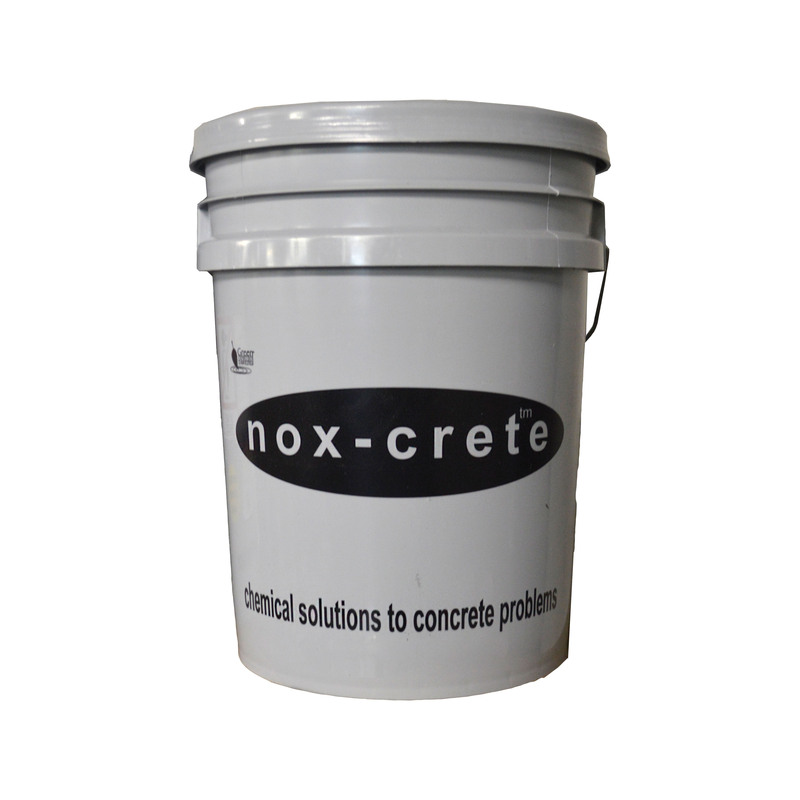 It prevents the rapid evaporation of concrete mixing water, allowing concrete to properly cure and develop strength. Clear-Cure DH minimizes concrete crazing or cracking from moisture loss, particularly in hot, windy weather. It also adds temporary resistance to rain shower damage and dirt, oil, grease and other products that can stain concrete during construction. The cure membrane dissipates from sun exposure over time or is easily removed for future coatings. Clear-Cure DH is ideal for use on horizontal concrete surfaces following final finishing. Promotes retention of original mixing water during the early curing stages. Allows concrete to develop maximum strength, density and surface hardness. Minimizes concrete surface crazing and cracking from excessive moisture loss, especially during hot and/or windy weather. Provides temporary resistance to rain shower damage and penetration of dirt, oil, grease, or tire marks that can stain concrete during construction, reducing final cleanup costs. Prevents adhesion of mortar and concrete splash during construction, aiding clean up. Does not contain any waxes, paraffins, gums or oils. Typically dries to a dust and tack-free state in 30 minutes. Complies with ASTM C 309, Type 1, Class A & B and AASHTO M 148, Type 1, Class B. Contact Nox-Crete for more details. Compliant with USDA requirements for incidental food contact. Green Engineered™ – better for health and the environment. Meets all federal and state VOC requirements.